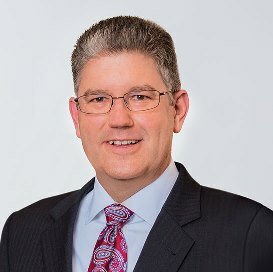 Since joining Overlake Medical Center as COO in 2015, Tom DeBord has overseen the day-to-day operations of the hospital, including patient care services, cardiac, medical imaging, surgical services, supply chain, facility and support services and regulatory compliance. DeBord also has had primary responsibility for the planning and implementation of Project FutureCare, our major campus renewal project that was announced early in 2016 and includes our new Overlake Cancer Center. DeBord is a Fellow in the American College of Healthcare Executives, board member of the Kirkland Chamber of Commerce and Overlake’s Executive Sponsor of the American Heart Association’s Puget Sound Heart Walk. Prior to joining Overlake, DeBord served as the president of Summa Barberton & Wadsworth-Rittman Hospitals in Akron, Ohio, with 477 licensed beds, 1,700 employees and 2014 net revenues of $220 million. He also served as an executive leader of the Summa Health System. He was responsible for the day-to-day operation of the two hospitals and oversaw quality, safety, finance, growth, governance and physician/employee/community engagement for his region.